Finishing my look at famous serial killer movies this week. 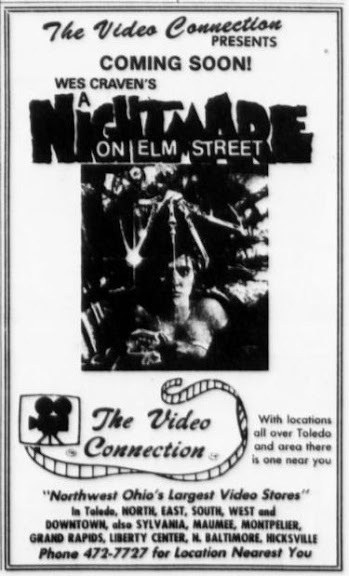 Here's an ad for the VHS release of the original Nightmare on Elm Street in Summer 1985. This week is the 20th anniversary of Silence of the Lambs so I'm looking at ads for other famous serial killers. 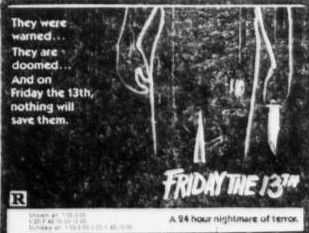 Here is an ad for Halloween from October 1979. 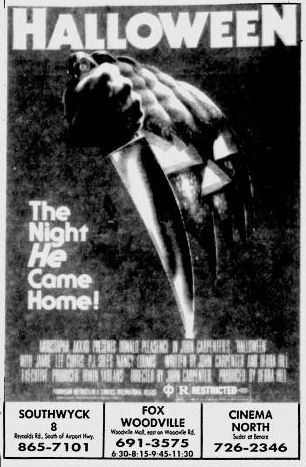 Halloween debuted the serial killer Michael Myers. This week is the 20th anniversary of Silence of the Lambs. To celebrate Lambs' 20th anniversary I'll be looking at classic movie serial killers this week. Come back to see ads for more famous murders. All this week. Silence opened on Feb 14, 1991. 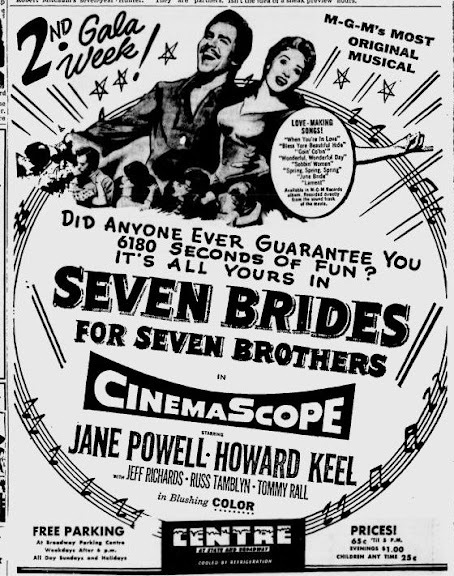 Yes, it opened on Valentine's Day. 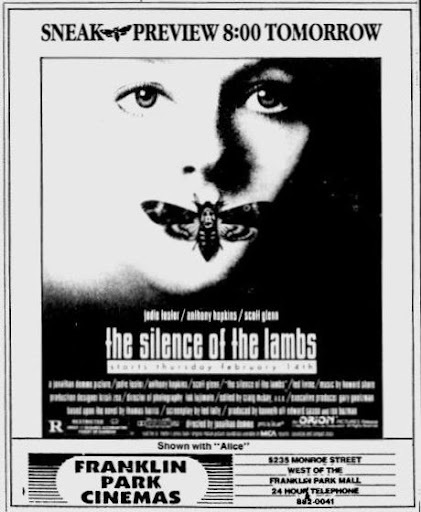 Today's ad is for a sneak preview of Silence of the Lambs about 2 weeks before it opened. 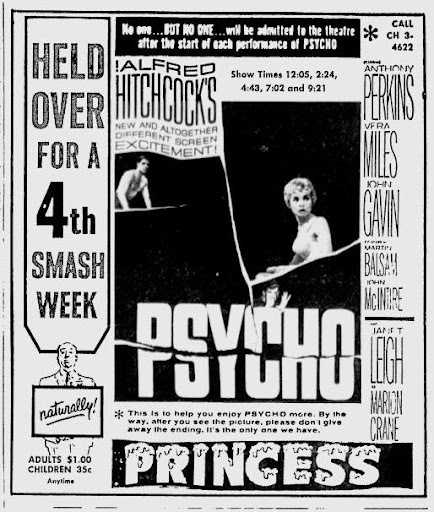 Come back tomorrow for another classic serial killer movie ad. Out final entry this week for vintage 50s and 60s ads. Here's an ad that features the original Batman movie starring Adam West and Burt Ward. 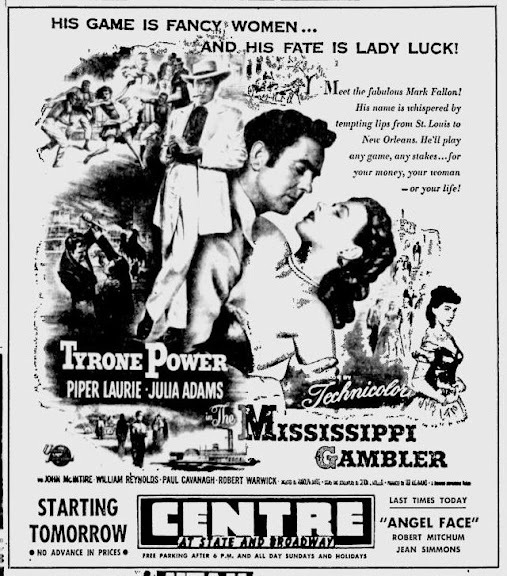 This ad also features a bunch of other movies showing at local drive-ins. 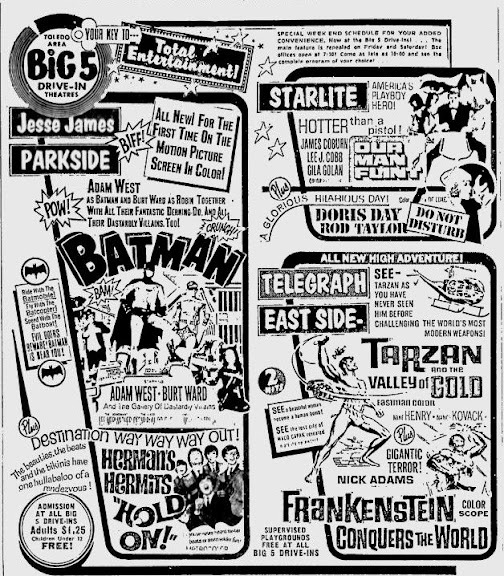 Under Batman you can see the ad for the musical film Herman's Hermits Hold On! Which is very similar to The Beatles' movies. In the upper right is Our Man Flint starring James Coburn. Coburn plays Derek Flint, a very similar super spy to James Bond. There were several entries in the Derek Flint movie franchise. In the middle-right you can see Tarzan and the Valley of Gold. 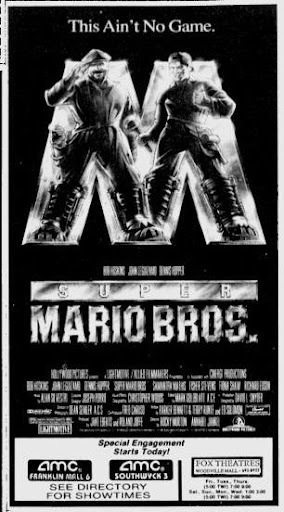 This movie was an interesting animal. It featured a Bond-like, tropical suited, globetrotting Tarzan. Tarzan is asked by an old friend to rescue a kidnapped boy who supposedly knows the location of the Mexican lost city of gold (El Dorado, I guess). 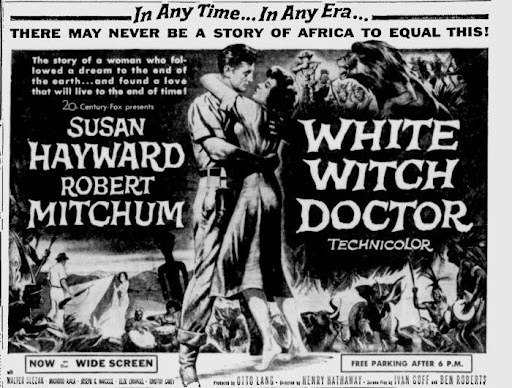 The novelization for this movie by Fritz Leiber was officially the 25th book in the series and the first authorized Tarzan novel by someone other than Burroughs. 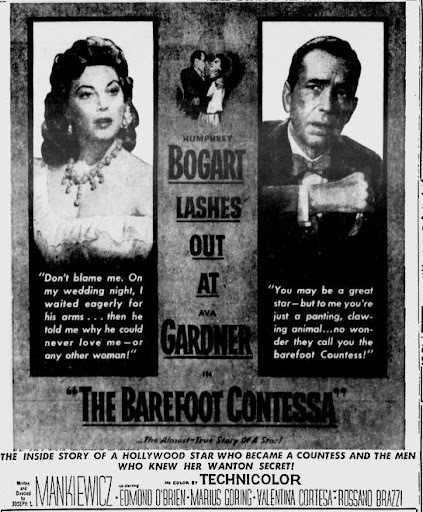 Leiber was personally selected by the Burroughs estate. 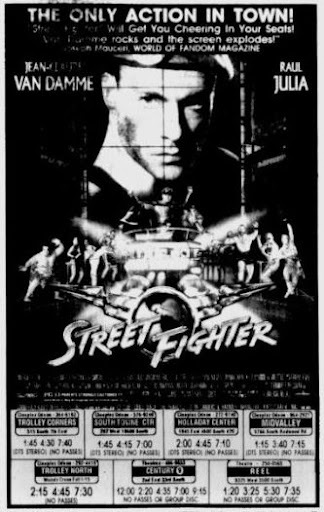 The final movie in the lower right is a Japanese monster movie called Frankenstein Conquers the World. It was released by Toho (Godzilla) in Japan as Frankenstein vs The Subterranean Monster Baragon. 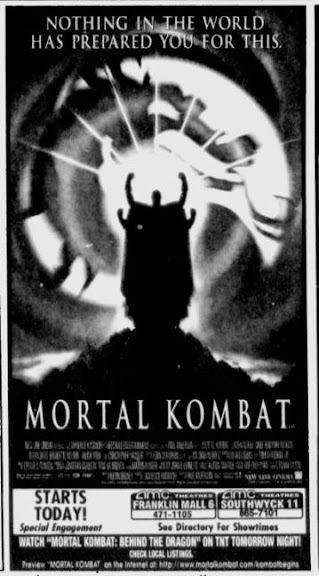 The official English title is Frankenstein vs Baragon. The famous Japanese zaniness is in full effect as the story involves a human heart kept in a Japanese lab that is exposed to radiation during Hiroshima. The heart somehow grows LIMBS AND AN ENTIRE F**KING BODY and escapes. 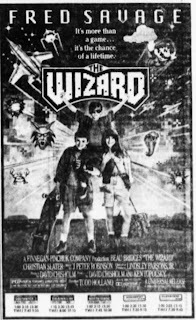 The monster is later captured but escapes again and starts to battle another mutated creature and their battle pretty much destroys Tokyo. It's EPIC, as you would expect nothing less from Toho. I found trailers for most of the movies. 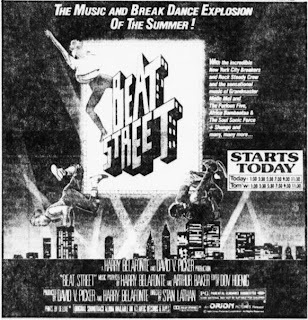 We're looking at hip hop movies this week. 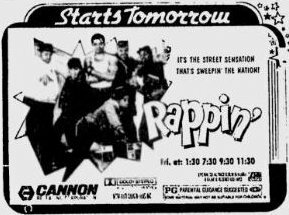 Here's an ad for Rappin' starring Mario Van Peebles, Eric La Salle, Kadeem Hardison and Ice-T. 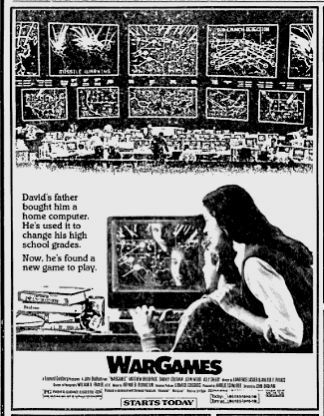 The ad is actually from my 11th birthday, May 9, 1985. 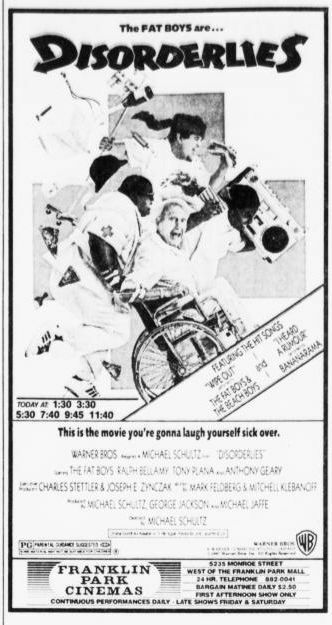 Unlike our previous two entries, Krush Groove and Disorderlies, this movie is not good. Not even in the "so good it's bad" category. It's awful, actually. Peebles' character name is John Hood and, in the movie, they actually call him Rappin' Hood. They seriously call him that, you guys.